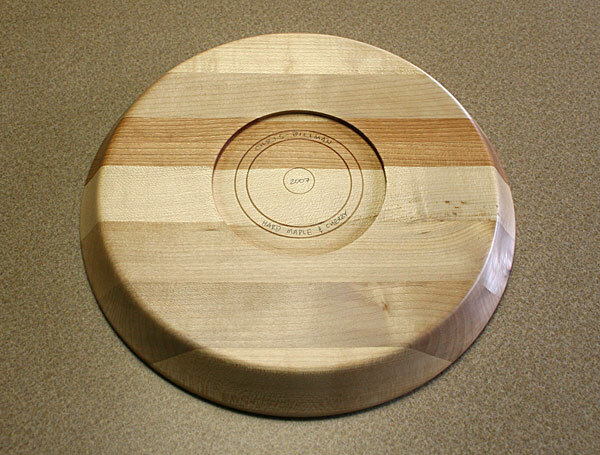 Mar 2007: I've been turning a bunch of things on my lathe lately, and I thought I'd use some of the remaining short cutoffs from my bench project for a round cutting board (or is this a bread board?). I added a section of cherry as an accent. 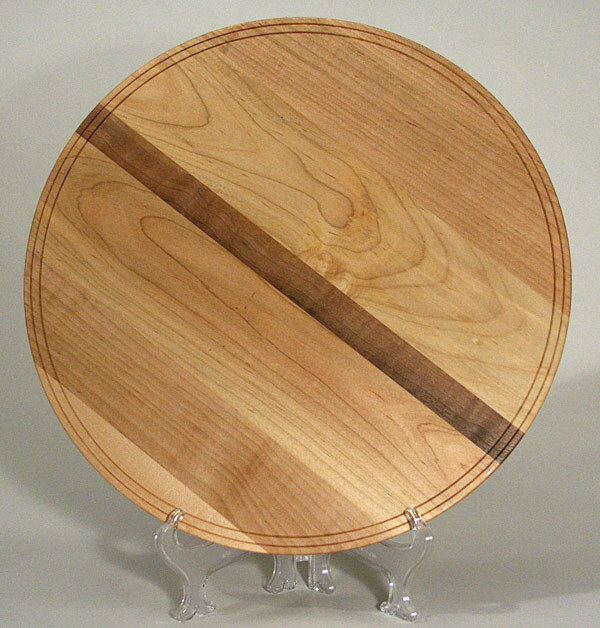 I really like how this board ended up, and the undercut rim makes it very easy to pick up and move around. I already have requests for several more of these so I hope I can find some more maple. Oct 2010: Trying to make intelligent use of thick scrap wood again. This one is maple with a centered accent strip of walnut. The walnut has a bit of figure that doesn't show up all that well in this picture, but it's beautiful in person. The build process for these is pretty easy if you have can be flexible to hold the blanks. I start with attaching the rough blank to a wood faceplate chuck (tapped with a Beal tap to match my spindle threads) with double sided tape. One the exposed side I cut a recess to expand my SuperNova2 chuck into. Finally it's turned around again and finished off in a Hold Fast vacuum chuck. The trickiest part of the whole affair is keeping the top very flat - that takes some practice. It's a fun project, and a great way to use scrap in a unique manner. 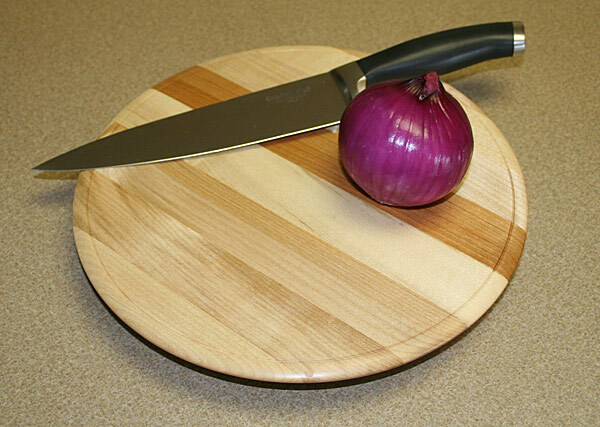 Finished with favorite cutting board mixture of wax and mineral oil. 13.25" x 1.5".